VOTS Bullion is an Online Trading System for Bullion Market. Sell Gold / Silver Online on Android, iOS and Windows app. 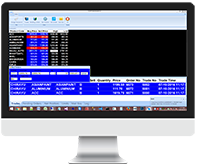 Free Live NSE, MCX and COMEX Virtual Stock Trading Game. Get Rs 50 Lakhs virtual money to invest in Stock Market. Using Bullion Online Trading Software you can Sell Gold Bars, Silver Bars and Coins on Android and iPhone Mobiles and Windows Laptop.